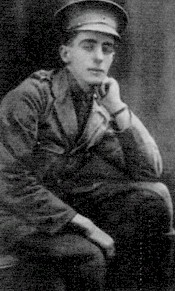 Having been with the regiment in the front line area for less than a week this young officer was killed after having been struck by a shell fragment whist on duty in the Ypres sector. It was reported that the eighteen year old officer never regained consciousness and died in an ambulance before reaching the nearest hospital. He was born on the 29th December 1895 in Nottingham and was educated at Oundle School (Sidney House), Northamptonshire2. He joined the boarding school there in September 1909. leaving in July 1913. He then joined the motor section of the Legion of Frontiersmen a few months before the outbreak of war. After helping with recruitment work he started out, with three others, on motor cycles, for General Headquarters in France with a letter of recommendation to Sir John French, and they were attached by the Commander-in-Chief at General Headquarters, to the Royal Engineers as dispatch riders with the rank of corporal. Corporal Spendlove was later given a commission after an appeal came for men with OTC training, and was attached to the South Lancashire Regiment. 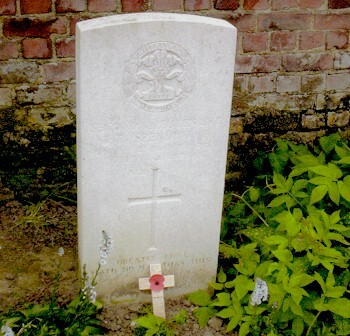 2nd Lieutenant Spendlove was killed on 17th November 1914 and is buried in Ypres Town Cemetery. 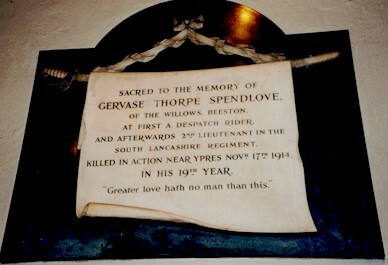 There is a memorial to him inside Beeston Parish Church. The young officer's parents also gave loyal service. His father, an Embroidery Manufacturer, took a prominent role in the local company of Reserves, while his mother served as Commandant of the Beeston Branch of the British Red Cross. This unit was in operation on the premises of the "The Cedars&", Beeston. This fine old property was kindly loaned by a Mrs. Poyser for the duration of the war. Known as the Voluntary Aid Detachment Hospital, it was opened in 1915 and from then until its closure it contained its full quota of 26 wounded members of the forces. 1Joseph Gervase Spendlove (b. c1857, Nottingham) married Edith Mary Thorpe (b. c1870, Nottingham, dau. of William Thorpe, a corn mechant of Lenton House, Lenton, Notts) at Lenton Parish Church on 26 June 1890. At the time of the 1901 census, the family was living at 5 Brunel Terrace, Derby Road, Nottingham. Gervase Spendlove, then age 5. is listed, as well as two elder sisters, Violet Mary (b. 1891), and Phyllis Muriel (b. 1893). Three servants were employed. (Census piece 3154, Folio 42). A younger brother, William Vernon Lewis Spendlove was born in 1909, probably at Beeston.